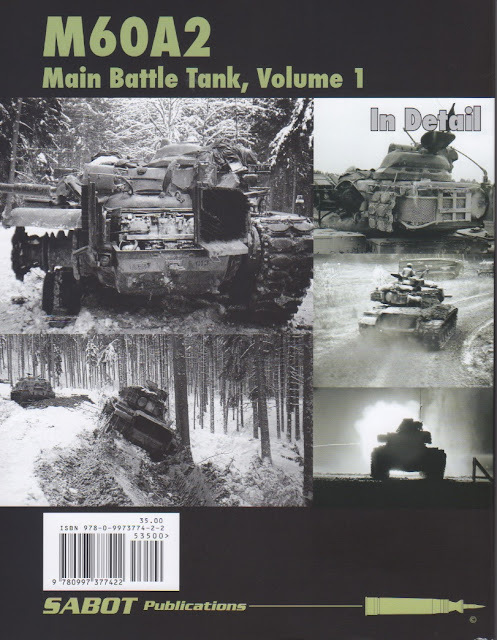 Scale AFV: Fresh Sabot Pubs "In Detail" book! 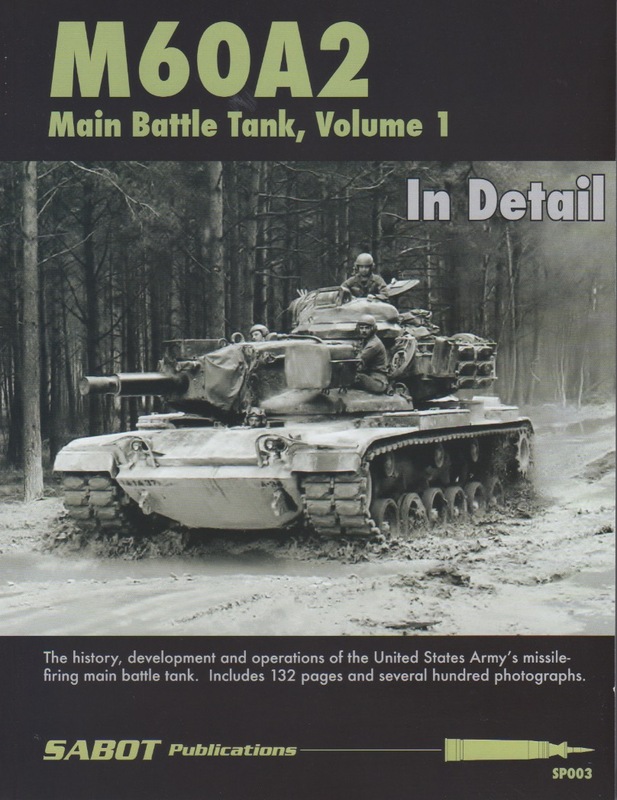 So, just in today is the new Sabot Publications M60A2 Volume 1 (SP003). I will tell you right rom the start that this vehicle is one of my favorite tanks. It just looks cool. A friend I knew had crewed one of these tanks and really enjoyed operating in it. But he said it was a relationship with baggage. When it was good it was GREAT! And when it was bad it was horrid. He said a crew really needed to watch the operational envelope and keep the maintenance up 100% of the time. 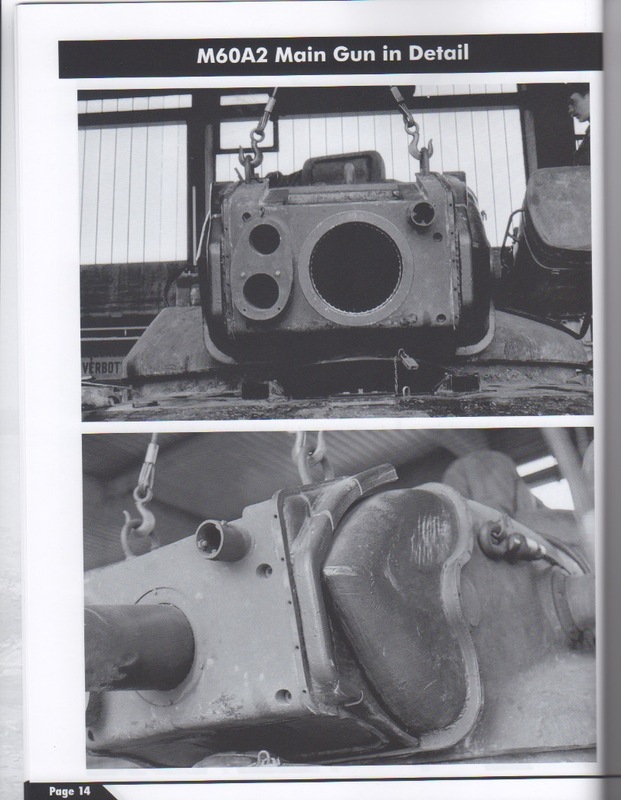 The book is basically 8.5 x 11 inches in size and has all B&W photos. It has 132 pages and several hundred photos. I didn't count the photos and will trust that the publisher is telling the truth. I can say that there is a "boat load" of pictures! The book consists of 7 sections. They are; the Introduction, 3 vehicles from 1-37 Armor in Germany, Main Gun Detail, 1-37 Armor in Winter time in Germany, Various vehicles from 1-37 Armor in Germany. The last section has some great maintenance photos and interior shots. It would appear most photos are from the 1978 to 1980 period. The quality of the photos is excellent. This will be a great photo reference for building this vehicle. I really appreciate the format of this book as it is all photos and captions. What a reference book should be in my opinion. 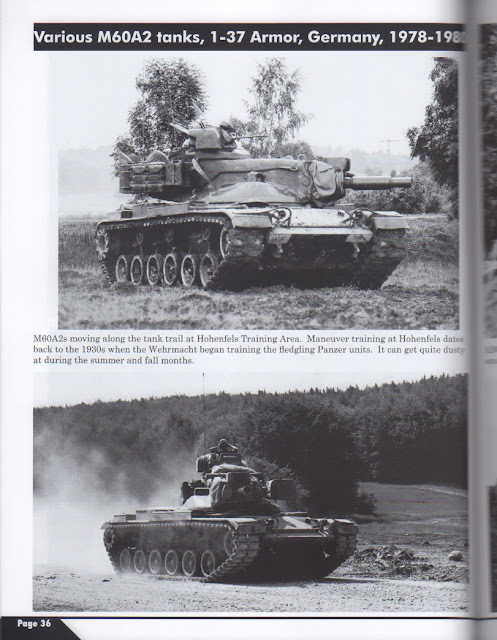 I am not a M60A2 expert and will not comment on accuracy of the captions. But my main reason for buying the book are the photos as they are what I need to get my model right. There are lots of good views of the details. 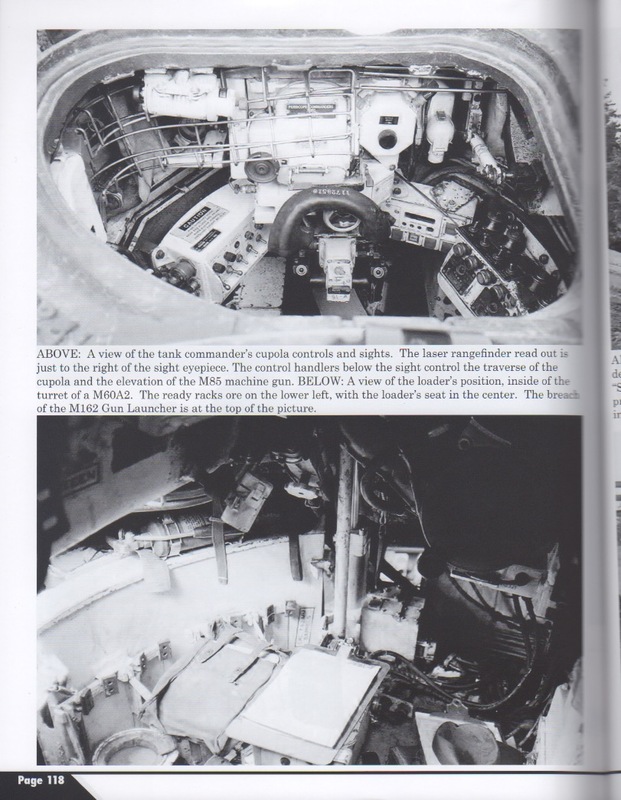 I will say there are more interior shots than I expected and they give good detail of many portions of the interior. I love the comparison photos on page 105. It shows a T-54 sitting next to M60A2. The T-54 looks like a pet. There really is not a whole lot to say other than I Highly recommend this book as a modelers reference. I can not wait to see Vol 2! Yes! there is a second volume in the pipeline right now from what I understand. SO standby to be awed again...This is definitely not my last Sabot Publications book. So it is time to break out the AFV Club M60A2 kit (my preference in the M60A2 manufacturing smack down) and get gluing!